47-year old Marie works between 30 and 40 hours each week providing care to the elderly. Although Marie likes her job, she still finds it difficult to balance her work with taking care of her husband and three children. She often comes home at night emotionally and physically exhausted – too tired to spend more than a few minutes with her family after a day of caregiving and continually managing the burden of paper care logs to track her client’s condition. There are times that she wonders if there is something better out there. The demand for home health aides has increased significantly over the past decade as more seniors choose home care rather than institutionalized care. It seems reasonable to assume that it would be easy to find home care providers, but reality proves that it is quite challenging. 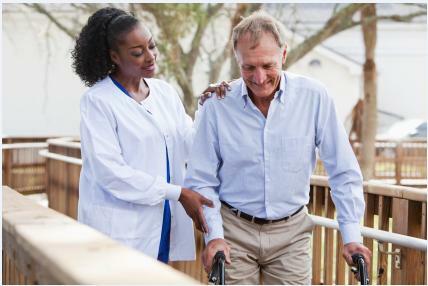 According to a recent Associated Press article, almost half of all home care workers are struggling to find ways to increase their desirability and pay potential in the workplace. How can a reliable homecare system and homecare software program like ClearCare benefit home care agencies and their caregivers? When home care agency administrators do business more efficiently – and more effectively – the benefits are endless. ClearCare’s homecare system and homecare software have been designed to expedite business processes for every aspect of your agency. This means that as an administrator, you will have the opportunity to better track caregiver certifications and credentials, allowing the opportunity to better track caregivers who hold special certifications, such as CNA licensing or home health aide certifications. Each of these homecare system features allow administrators to work more effectively, offer higher quality services, and increase profitability. In turn, it gives agencies the potential to hire more qualified caregivers – via simpler tracking of certifications, credentials, availability and more, from the application process through their time with the company. Using a home care system also offers home care agencies the chance to increase caregiver knowledge of industry technology. A caregiver who is familiar with industry standard home care software, like ClearCare, is an asset not only to your clients and your agency, but also to their own skill set as a modern caregiver. Finding and keeping the best home health aides does not need to be a struggle. With ClearCare’s homecare system and homecare software, you put your agency in a better position to do both. All caregivers in this blog are fictional.